Salon Communications Inc. publishes Salon Magazine (English and French Editions), salonmagazine.ca, Elevate Magazine, elevatemagazine.com and holds the Annual Canadian Hairstylist of the Year Awards (The Contessa Awards). Advertise in print and online. 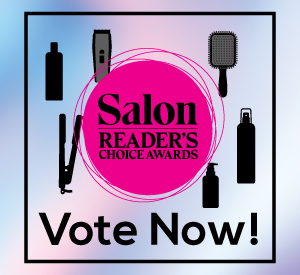 Salon Magazine is Canada’s leading publication for the professional beauty industry. Choose from an English Edition, or French Edition. Buy both for a lower, combined rate and get maximum coast-to-coast exposure.